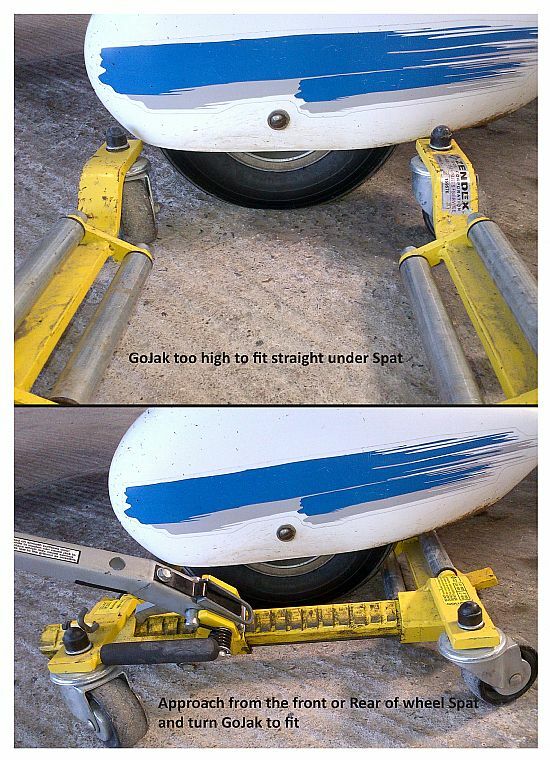 If you are worried that GoJak 4100 will not work with your particular aircraft, please see the photographs below which gives you basic dimensions and heights etc. The GoJack will work with most aircraft even if you think it wont. 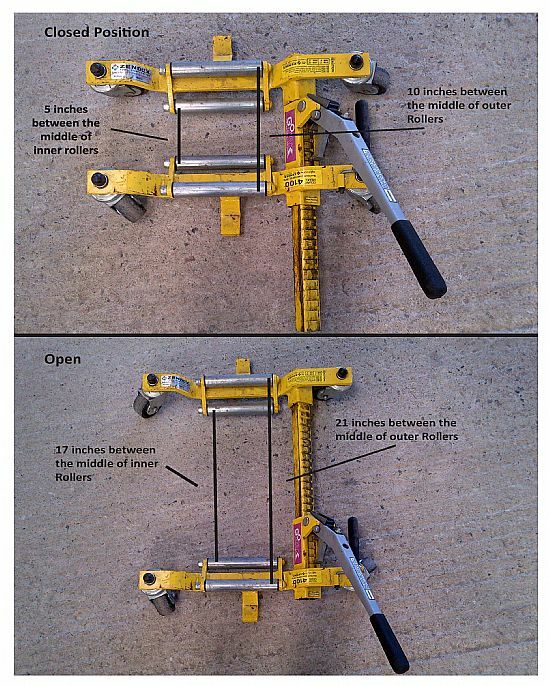 Each unit will open up very wide to fit under a large wheel spat or rounded fuselage and if it doesnt initially fit under in the normal way, you can always slide the unit into position from the front or back of the wheel and then turn it to pick up the wheel. 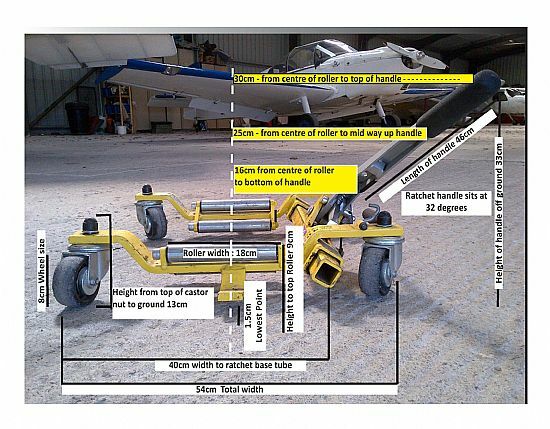 So long as the wheel spat, fuselage or undercarriage door (for retractable wheels) is higher than 9cm (Height from the top of the roller to the ground) it should fit. The ratchet handle is also set at 32 degrees from the roller, so should in most circumstances allow clearence of a fuselage or spat.